Ten-eleven translocation (TET) proteins, a family of Fe2+- and 2-oxoglutarate-dependent dioxygenases, are involved in DNA demethylation. 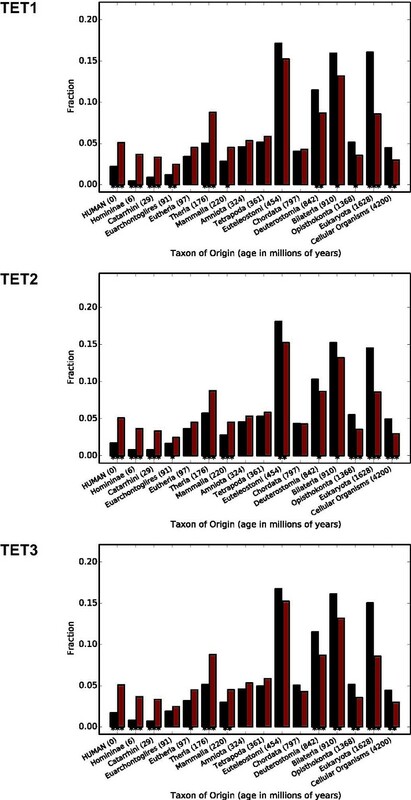 Three TET paralogs have been identified (TET1, TET2, and TET3) and they show different patterns of tissue-specific expression. In our previous evolutionary studies, we found that the TET1 and TET2 genes underwent positive selection more frequently than the TET3 gene, possibly due to changes in the selective constraints during their evolutionary process. In this study, we performed a network-based analysis of the mRNA expression profiles of TET knockdown and the TET-containing co-expression modules identified in early human developmental stages. Analyses based on the PPI subnetwork demonstrated that TET DEGs PPI subnetwork genes were more evolutionarily conserved than all the human-chimpanzee orthologs during evolutionary history. 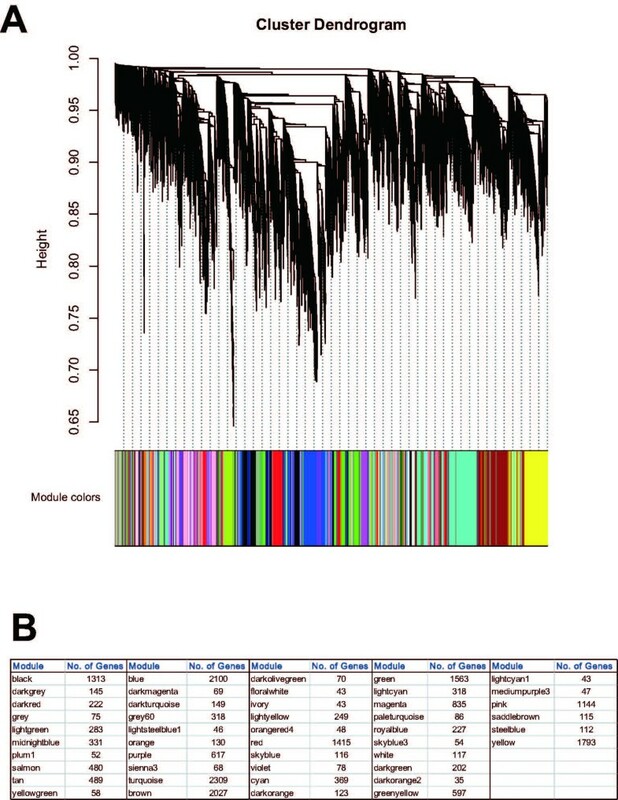 GO annotation of gene co-expression modules containing a TET gene ortholog revealed particular features of the potential role of TET gene family members. Our study implicated the TET1 module in fundamental aspects of cellular physiology, such as the regulation of glucose metabolism, and the TET2 module in GPCR signal transduction. The TET3 module was related to signaling pathways involved in developmental regulation. 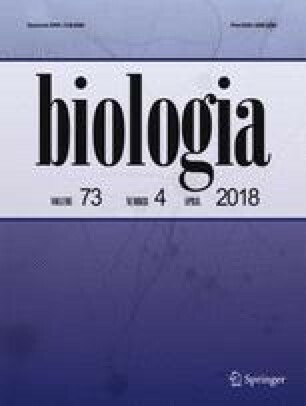 The evolutionary rate and phylogenetic age distribution analysis of network member genes also support these network-based analyses. The present study provides an integrated view of TET gene family properties and might be informative for elucidating the molecular mechanisms of their biological functions. The online version of this article ( https://doi.org/10.2478/s11756-018-0041-6) contains supplementary material, which is available to authorized users.